Atkins brings with her a wealth of experience and training including credentials in Administration, Reading and Literacy Leadership, and Multiple Subject Teaching with a Supplementary Subject in Business. She has a strong reputation for setting high expectations for academic achievement for all students and has a proven track record of her ability to engage parents and community partners in supporting school activities. Prior to coming to Camino, Atkins worked with the Folsom Cordova Unified School District as a Title I Academic Coach. 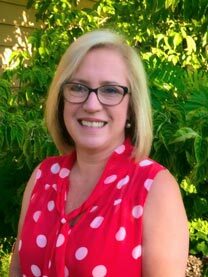 In this role, she served as the site program monitor for federal and state compliance monitoring; advised the administrative team on instructional strategies; implemented newly adopted ELA curriculum; and provided guidance on best practices for designated and integrated ELD strategies. She also diligently worked to build stronger relationships with ethnically diverse families through various means such as the English Learners Advisory Committee, the PTA and community volunteer programs. For more information about Camino Elementary School and Camino Polytechnic Charter School or find us on Facebook and Instagram. The mission of the Camino Union School District is to provide a high-quality standards-based education for all students, preparing them academically, socially and emotionally for success in high school and as productive citizens in our diverse society.